Honoring local military personnel in appreciation of their unwavering sacrifice to protect America and the freedoms we enjoy. FREE ADMISSION – All Veterans with Military ID or Photo. Military Display in the Commercial Building (behind the stage) on Monday only. How did official government propaganda campaigns push America into the First World War? How did these campaigns subsequently affect the course of politics and society over the next hundred years? How did this activity affect the people of Central Pennsylvania? Local historian and author Bruce Teeple will examine these questions and analyze the long-term repercussions. Presentation will be held in the Commercial Building behind the stage. 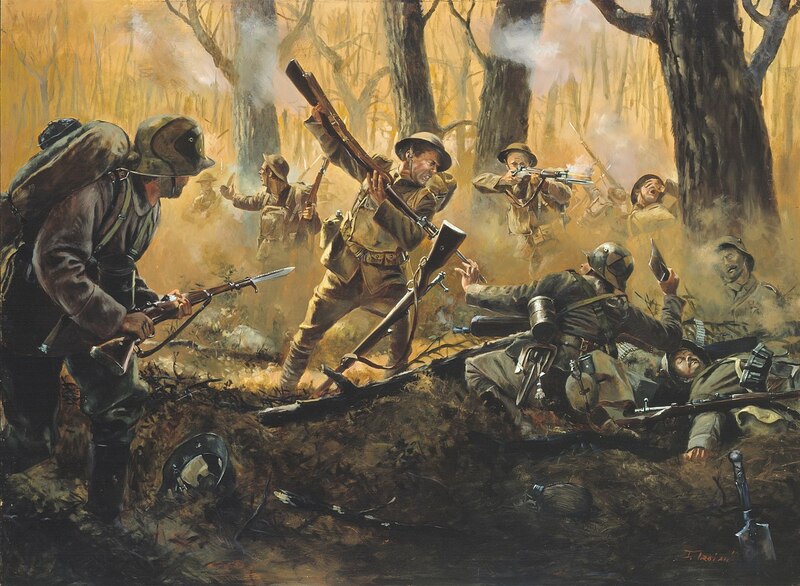 The 2018 Display will focus on the World War I conflict and its impact on the world today, with maps and memorabilia from the Union County Historical Society. Americans in the Champagne-Marne offensive, the last major German offensive on the Western Front during the First World War, 1918.